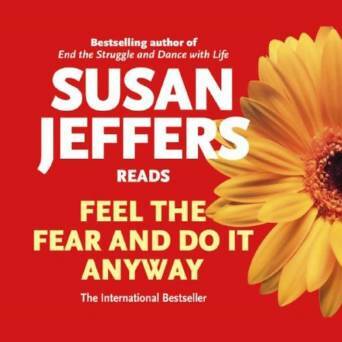 Feel the Fear and Do It Anyway is a book by Susan Jeffers. You might think it is a book for people who have a lot of anxiety. However, in my opinion, it really isn’t. It’s a self-help book for people who like to be sold self-help books. There is a big difference there. Self-help books are generally full of unhelpful nonsense, for example. The book does not read like something written by someone who has experienced anxiety, nor does it offer sensible advice to people who have. It’s in the title: feel the fear and do it anyway. Oh, if only we had to tell everyone that. It doesn’t matter if you are so wracked with anxiety that you have not been able to leave the house for six months. Just go to a party and talk to loads of strangers! Then you will feel much better. Problem solved. Apparently, the answer is that people simply need to decide not to be afraid. Trying to adopt a positive attitude can be helpful of course. However, this goes back to my point that this book is for people who feel a little nervous about something, rather than people with genuine anxiety. 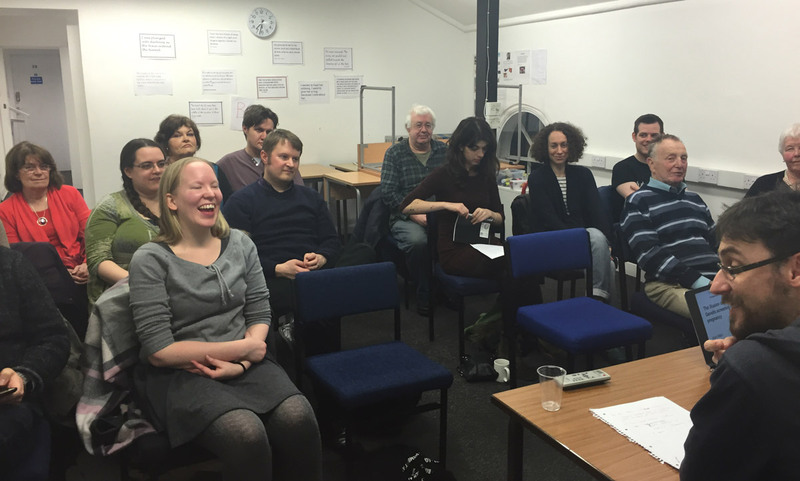 If you’re pitching the book at those people, it might well be helpful. She also recommends filling your life with positive people. This is a difficult line to walk. I want realistic friends. Friends that will provide me with some grounding in reality. Can you be both positive and offer rational, honest advice? I hope so, but I’m not sure. In short, I don’t think this book is worth reading. 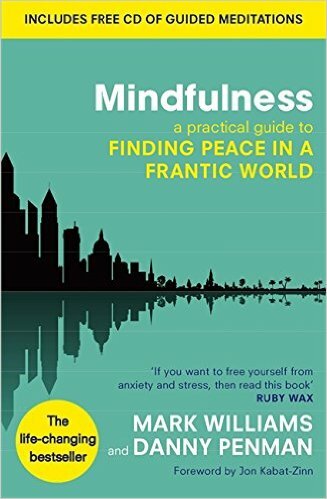 Mindfulness, “the life-changing bestseller”, is a book by Mark Williams and Danny Penman that offers an eight week course on mindfulness. If you have not come across mindfulness before, it is an attempt to take the clinically-useful bits of meditation and put them into a framework that improves people’s mental health. I’ve now done it all, and it hasn’t changed my life. The book comes with a CD that includes guided meditations. It’s 2016, so I don’t have a CD player, or an optical drive on my computer. In the past four years of not having one, this has been the first time it’s really been a problem as I couldn’t find all of the audio tracks online. In the end I had to resort to using my PS3. It gets quite time consuming as you go on. In week five for example, you are doing three meditations per day: 8 minutes, 8 minutes and 10 minutes. This is more than half an hour once you had set up and cool down times. That is quite a lot. The default reaction of some is to say “just half an hour a day to improve your mental health? Surely that is worth it?” They’re probably right, but half an hour is still a long time. I could use the same time to go for a run every day, and look after my physical health, something which I don’t find time to do. Nevertheless, I did want to give this an honest go, so I did make the time. Did it provide some benefit? I’m not sure. I don’t feel any different. However, given that I am not measuring my anxiety on a daily basis, and that you would expect to see fluctuations anyway, I find it very difficult to objectively say whether I have seen an improvement. However, it does not feel like I have. Perhaps I need some high-anxiety situations to come along to truly find out. There was no #JeSuisPakistan hash tag. People did not pray for them. The media did not cover the story. Nobody cared, because the victims of the bombing were brown. The event was simply ignored. 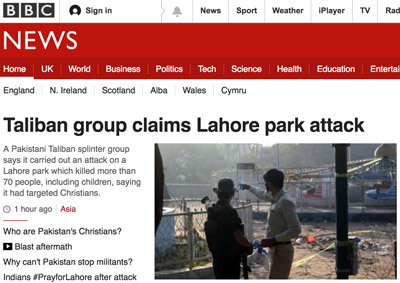 Other than it being the lead story on BBC News of course. This isn’t the first time such comments have been made. I regularly see items appearing in my news feed comparing the attention that news items in the West get vs news items in the East. It is a constant series of points scoring against each other as to who can be seen to care the most. A bombing in Paris is a lot closer to me. If they can bomb Paris, they can bomb Leeds. 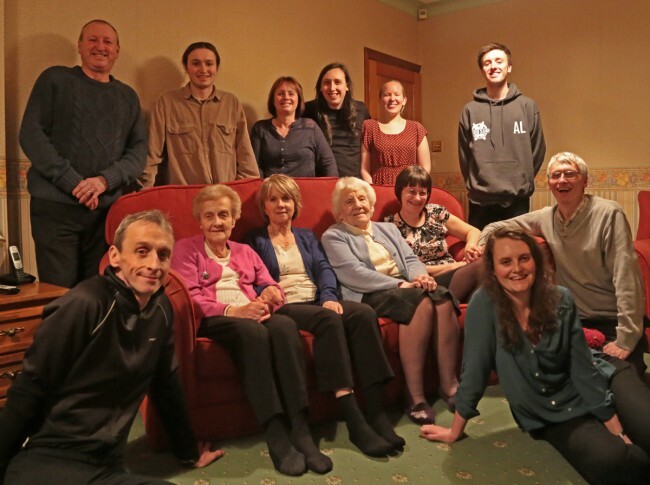 Many of the people I care about most in the world are in Leeds. Paris is close by. I have visited it and I have friends that visit it. It is far more likely that a bombing in Paris will affect someone I know. The attack on Charlie Hebdo was a direct attack on values that that I care deeply about and am actively involved with. I do not think that that lives of the people I love and care about the most are objectively more important than the lives of people in Lahore. However, like all human beings, I do care more about my friends and relatives than I do about people I do not know. I did not add a French flag to my profile picture last year. I have no plans to add a Pakistani flag to my profile picture this year. If you are doing both, then great, I am glad some awareness of both of these tragedies is being maintained. However, surely we all have better, more productive things to do than score points off each other as to who is demonstrating their outrage in correctly proportioned amounts. 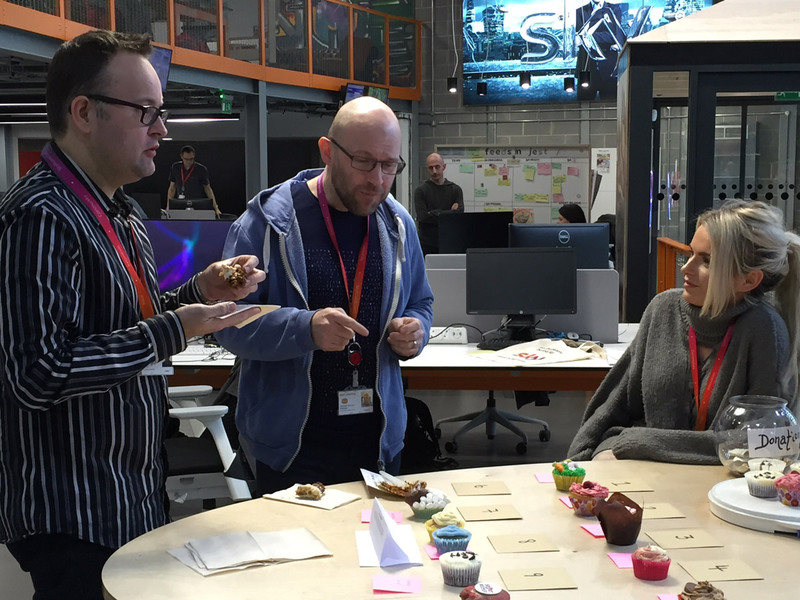 Following on from the success of the first Sky Leeds Bake Off, we held another to raise money for Sports Relief. In the end, we raised £275, which feels like a good effort. I blogged about my preparation last week. 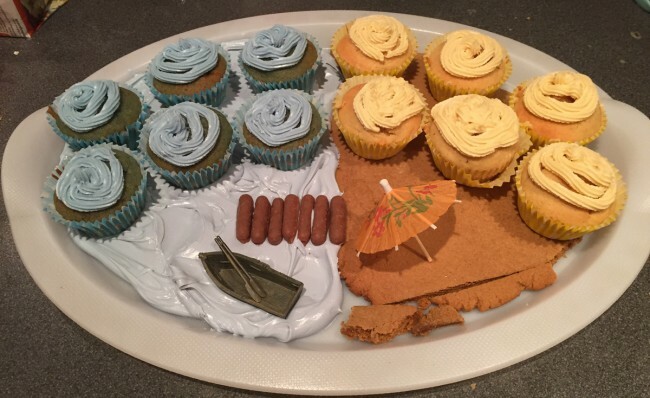 The beach was made of gingerbread. The sea was made from buttercream frosting, with a chocolate finger jetty. The sea cupcakes were blueberry with lemonade frosting. The beach cupcakes were brown sugar with a salted caramel centre and salted caramel frosting. Alas, the judging was changed from the Great British Bake Off-style present all twelve as a piece, to one cupcake from each batch being selected and given to the judges. While mine were tasty, they were not tasty enough to sway the judges on that alone. However, all was not lost. Gaz did Editorial Ops proud with a 3rd place. 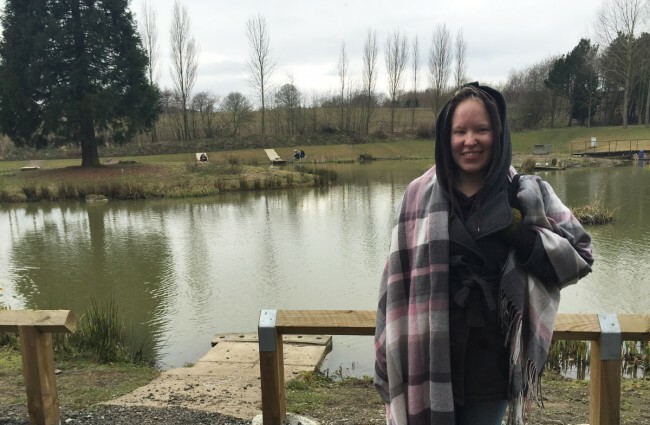 Last weekend, I went fishing for the first time. I didn’t go well. I spent most of the time trying to tackle sorted out. Then, just as I had it sorted, the line got horribly tangled, and I had to do it all again. Eventually I got myself sorted. I didn’t catch any fish. Nor did anyone else while we were there though. It’s not quite as idicic as I had hoped. Possibly because it genuinely isn’t, or possibly because we went to a muddy fishing lake in the middle of March. Hopefully, having at least a small clue as to what I am doing, will improve the experience in future. At the West Yorkshire Humanists March lecture Professor Karl Atkin, head of the University of York’s Health Sciences department, presented a talk on genetic screening during pregnancy. Much of the screening has only been introduced in the past 10-20 years, and with generic screening becoming more common, Professor Atkin asked whether we were having the right discussions about ethics as we proceed. 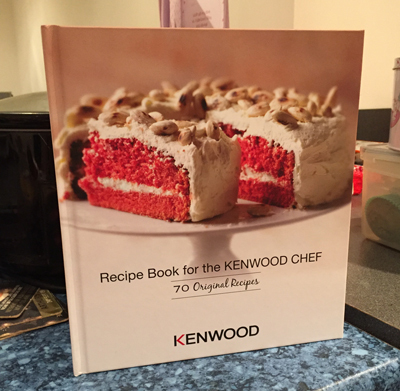 When you buy a Kenwood stand mixer, you get a hardback recipe book with it. It is designed to get you started. The first section is things you can do with each of your attachments. Sensible enough. This quickly loses track though. It talks about mixing things on medium. What is medium. I have ‘minimum’ and then 1-6. Is it half way up the dial? 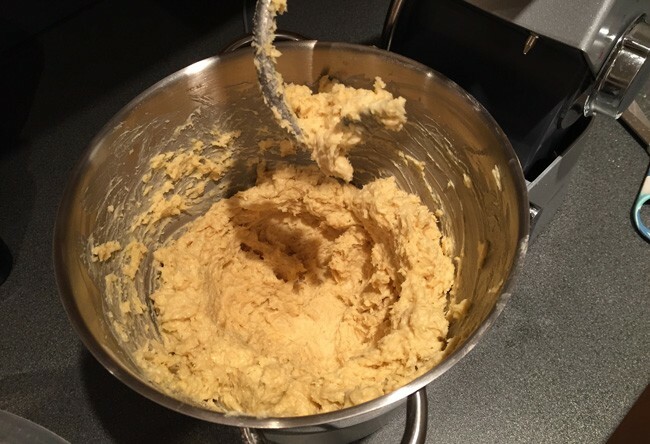 Somewhere else suggested I should only mix dough on min and 1. Which is it? I would expect a book designed to go with the product to be a little more clear. The recipe for brioche was a disaster. The contents of this bowl in no way constitute a dough. Or anything you could bake. At best, you might be able to get it off your dough hook with a lot of hot water and scrubbing. The Norwegian Skillingsboller was a much greater success though. I was sceptical when they first went into the oven. They were already tall enough and things normally rise rather than expand out. They did indeed however, and all was well. The agony of choice. When we visited Waterstone’s to find a new book on bread (as one does), I spent ages trying to decide. 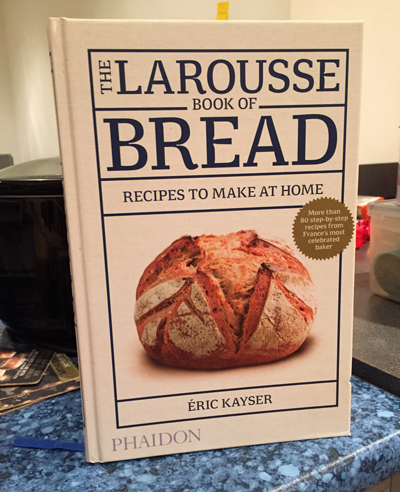 I eventually settled on The Larousse Book of Bread by Éric Kayser. This, I now know, was a mistake. All the recipes use a liquid sourdough starter. I did not have much luck last time I tried making a starter. However, this attempt was even more of a disaster. I found the instructions confusing and the results worthless. It wasn’t liquid enough. Luckily, when I bought the book, I noticed that you could also use dry starter. However, despite the book’s promise that I could easily find this for sale, I actually couldn’t. 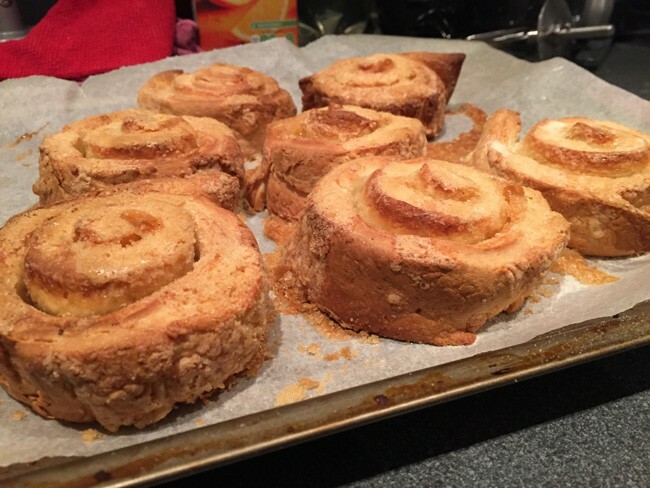 Not only do all the recipes use liquid starer, but they also use fresh baker’s yeast. Another product which is not easy to get hold off. Most supermarkets only sell fast-action yeast. Some might sell another dried yeast. None sell fresh. My next option would be to replace all of this with fast-action dried yeast and try to adjust the recipe accordingly. This is a whole new challenge. Getting the end result to turn out like it is supposed to when you are doing it when you have to adjust the flour and liquid levels to compensate for the lack of starter is difficult. Not to mention that you are now making a different kind of bread: it isn’t a sourdough any more. Once you have got past this stage you get on to the recipes. Using the term “recipes” is being quite generous because for most of the book there is only really one recipe. Each one is basically the same bread, moulded into a different and given a slightly different slashing pattern across the top. Otherwise, as far as I can tell, it is basically the same bread. In Paul Hollywood’s Bread the book explores many different types of bread that are very different from each other. It feels like there is none of that here. You are exploring many different shapes of the same bread. The closest the book gets is near the back when it talks about breads “with extras”. These were hit and miss for me. The seeded load (yes, that’s right, bread with seeds in it!) was good. 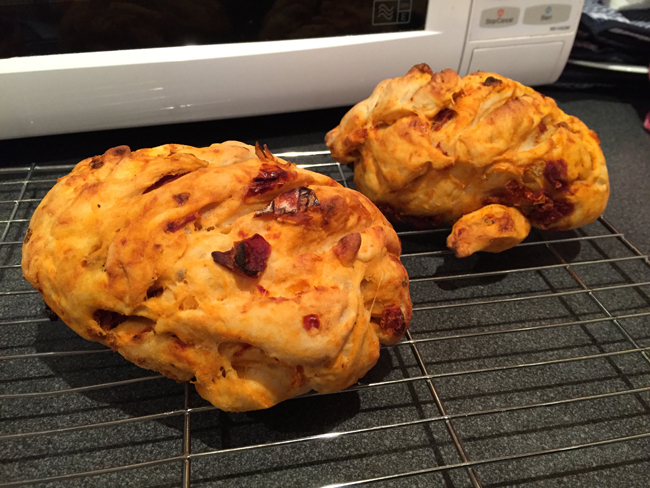 However the dried tomato bread was ugly and unpleasant to taste. There are some nice features about the book. The photos are great. They break the process down into easy-to-follow step-by-step instructions. You also get a photo of the finished product. It comes in hardback with a ribbon. Quality wise it is a very well put together book. In summary though, I would not recommend this book. Later this month Sky at Leeds Dock are holding their second bake off. The first was an open cake competition; this one is a cupcake challenge. Last time, Dave won it with a cake baked by his wife. This is dubious enough, even before you discover he made her get up at 4am, despite being heavily pregnant, to finish it. I’m not bitter about the whole experience, but I do want to up my game a little this time. I made loads of variants: different cupcakes and different toppings on the cupcakes. In the end, these two won out. The Sainsbury’s salted caramel cupcake boxset actually produces a really nice cupcake that is light and airy. 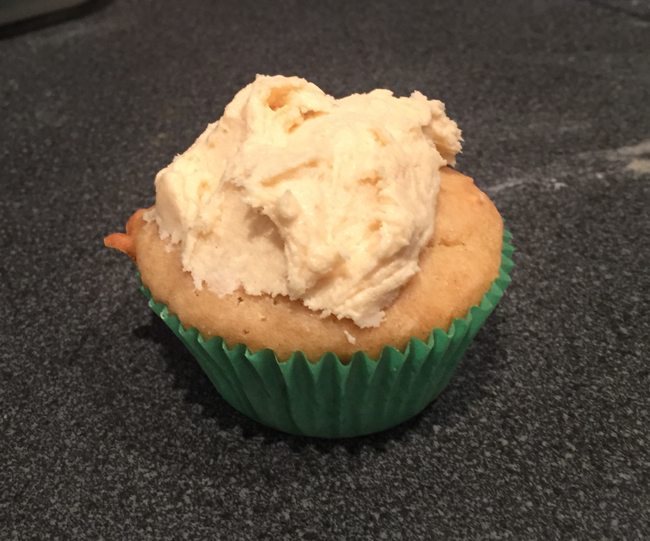 However, my homemade golden caster sugar cupcakes with salted caramel frosting eventually bested them in the taste test. 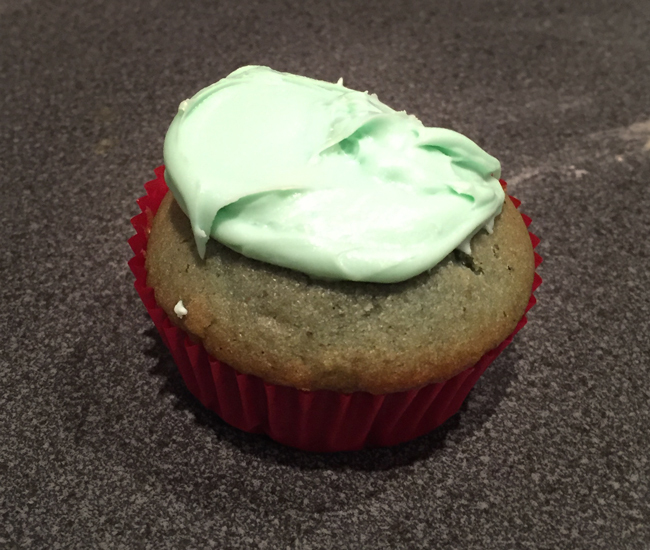 It produces a denser cupcake that is easier to eat. This is a prototype of the blueberry cupcake. The actual ones will be different however. They will be more blue in colour, and use lemonade flavoured frosting that is a lighter blue, rather than the turquoise shade of this fudge-based frosting. This stuff should be illegal. 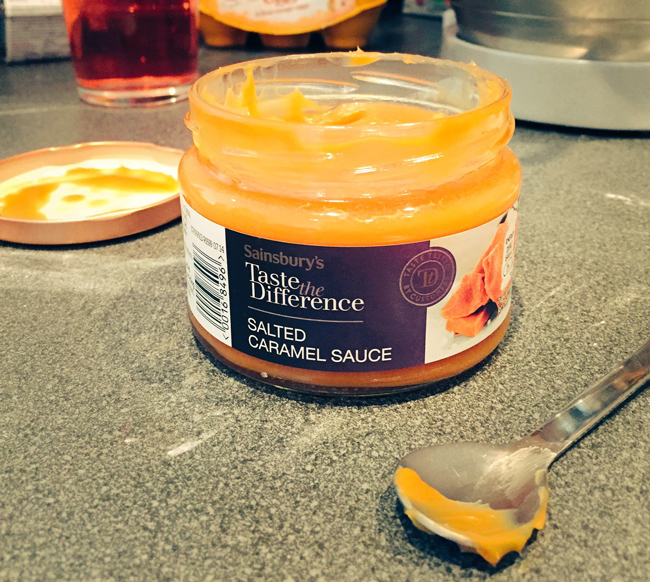 It is a jar of salted caramel that you would eat with a spoon. If heroin is banned, this definitely should be. How did my mum spend Mother’s Day this year? Mostly in the kitchen, cooking. What can I say, she is a Worfolk, you can’t make her relax. We had family visiting from Canada, so a family party was in order. We did our best to help: my sister made breakfast and a pavlova, and I contributed a cheesecake and a tray of cup cakes, but there is only so much cooking we were allowed to do! After the food we got together for a group photo.